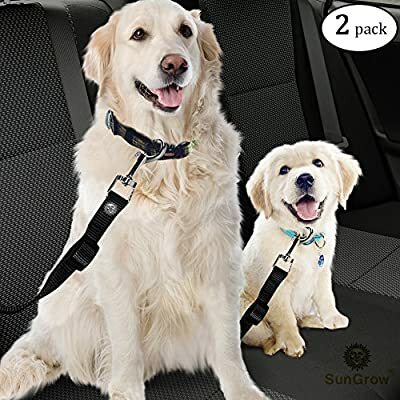 This car seat cover is not only useful for pet owners, but it can also be used when you come back from a run all sweaty and you don't want to get your sweat all over your fresh clean seats. Its also great for protecting your seats from mud, colors and dyes and sand from the beach. We've all been there when the kids are having a sticky snack, chocolate or chips which get squished into your nice clean seats. Or perhaps on those long road trips to grandma and your child always throws up? Prevent those frustrating clean ups and stains by using the SunGrow non slip car seat protection cover. They are super easy to clean. Simply remove and shake them off or take a cloth and wipe over any other messes. Even just taking your pet dog to the shops or for a quick visit to the vet can be a frustrating experience with fur, hair, soiling or scratches inevitable every time. This front seat car cover will protect your seats and can be easily removed when taking other passengers. No more mess, no more apologizing to your friends for the stray hairs all over the place. Keep your car clean, fresh and new with this durable seat cover today.
? 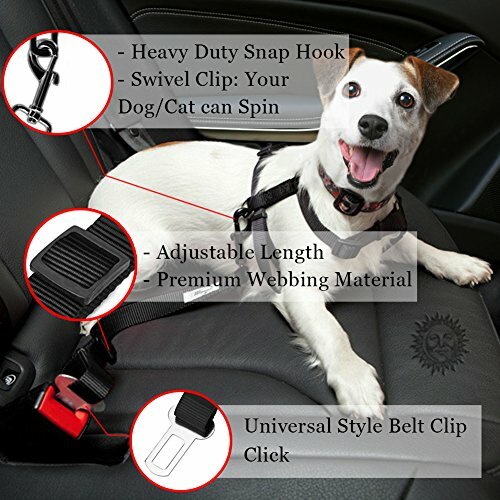 UNIVERSAL FIT WITH HEAD REST STRAP AND BUCKLE --- If your are tired of trying to keep that heavy blanket or towel in place to protect your car seats from doggy hair, claws and soiling. 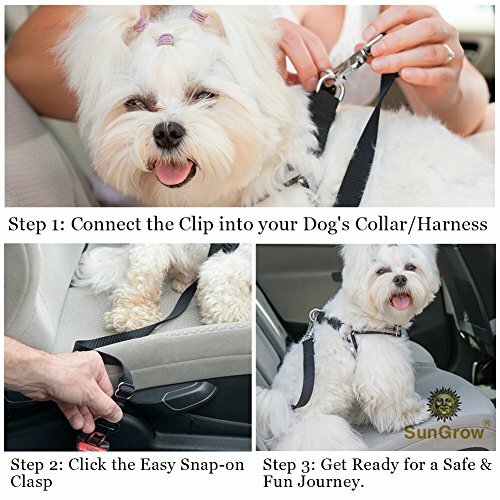 Try using the SunGrow Front Seat Car Protector for your dog. It fits onto any car seats from your tiny Nissan Micra to your SUV. ? 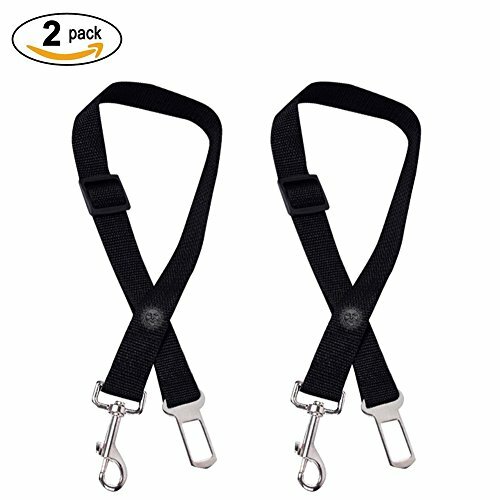 KEEPS YOUR PET DOG FROM SLIDING AROUND --- If your pup slides around during car journeys because of your leather seats. This seat cover will make her much more comfortable and secure for your next drive around town. 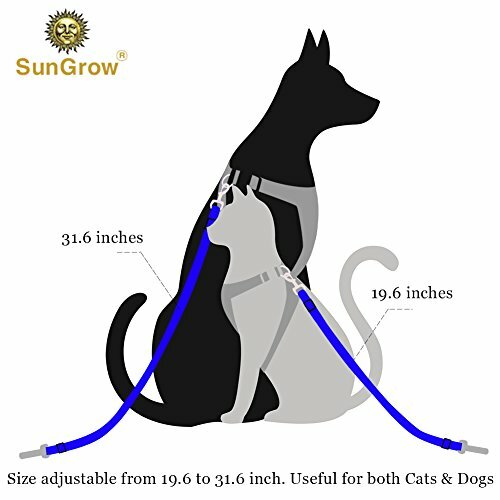 Additionally, see our SunGrow Pet Seat Car Belts for added safety and security. ? SEAT COVER ITSELF HAS NON SLIP BACKING --- With a secure headrest strap and extra buckle to go around the back, the Seat Cover will stay securely in place exactly where you need it. The non slip backing on the cover will also prevent the cover from sliding out of place making sure that your car has complete protection. ? KEEP YOUR CAR CLEAN --- We all love and adore our adorable pets, but not so much when they accidentally scratch our plush leather seats, or leave hair and fur all over the fabric. This seat cover will make sure your car stays clean and looking like new even when your pets come along for the ride. This is also great for protecting your seats when you have kids in your car. ? QUILTED LUXURIOUS PATTERN --- The luxurious quilted fabric is made of 4 layers of waterproof PU for extra comfort and durability. It can be easily cleaned with a vacuum or damp cloth. 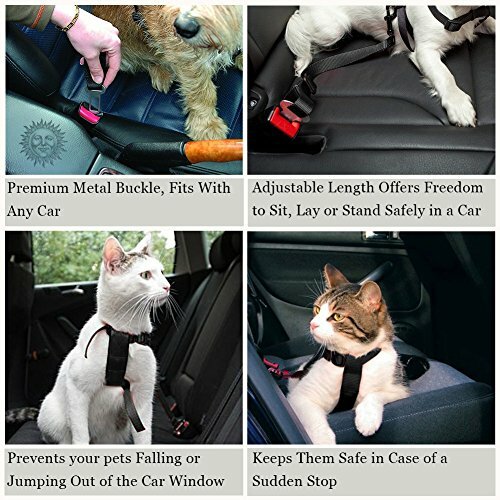 Enjoy keeping your car looking smart and high-end even with the pet slipcover.